The Refractories Testing Laboratory measures the key properties of consumable refractories, such as those used in the metals processing industries. Also assessed are long life refractories, such as those installed in heating furnaces, typically found in metals processing, glass, cement, oil and energy from waste industries. Typical activities are quality control testing for incoming materials, failure and incident investigation and testing newly developed materials. Consultancy and advice can be given for product selection, development, failure investigation and audits. Test pieces can be prepared from pre-shaped samples using masonry saws, core drills and surface grinding. 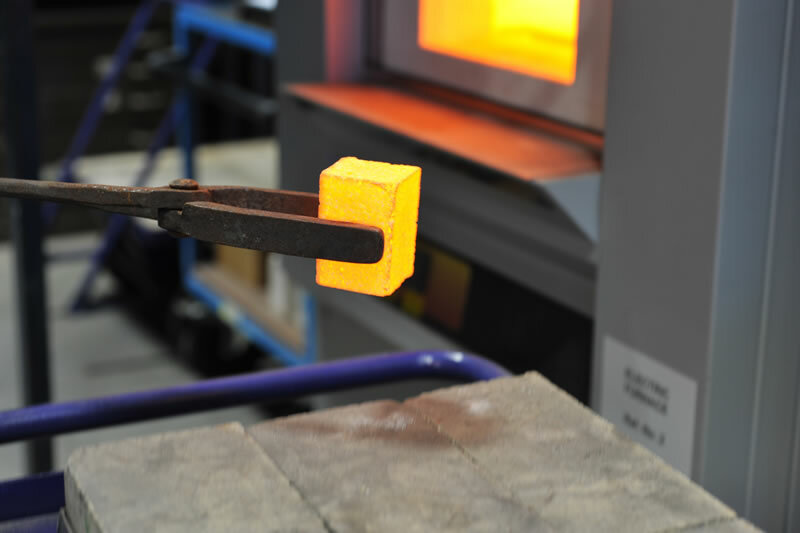 Test pieces can also be prepared by casting or ramming unshaped monolithic refractories.